After being told to no longer speak in the name of Jesus, Peter and John were released. And so what did they do? They prayed for more boldness to preach the gospel. They said, “And now, O Lord, hear their threats, and give us, your servants, great boldness in preaching your word. Stretch out your hand with healing power; may miraculous signs and wonders be done through the name of your holy servant Jesus” (Acts 4:29–30). Then the Bible tells us that after they had prayed, “the meeting place shook, and they were all filled with the Holy Spirit. Then they preached the word of God with boldness” (verse 31). The Holy Spirit was poured out on the Day of Pentecost, but the apostles were given a refill. (And God does give refills.) Now we don’t need another Pentecost, but we do need to continually appropriate what has been made available for us at Pentecost. For instance, when you are in a restaurant, you may order iced tea, and after a while, the server will come and offer you a refill. So you get a refill. In the same way, God wants to refill you with His Holy Spirit. God will empower us with the Holy Spirit and fill us again and again and again. Summary sentence: There is nothing wrong with asking God for a refilling of His Holy Spirit. 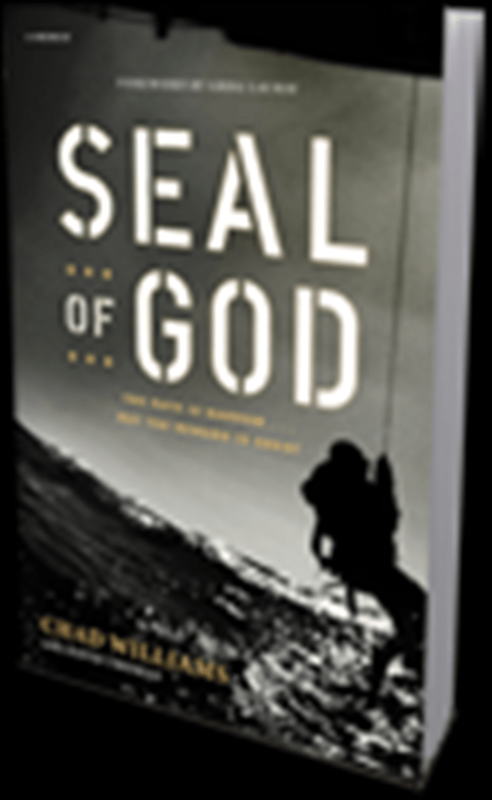 You can receive, Seal of God by Chad Williams, as our thank-you for your financial support of Harvest Ministriesthis month. Your gift reaches people like Chad every day with the hope of God’s Word through our daily broadcast A New Beginning, our crusades, and our online ministry channel, and this year across the country through Harvest America.